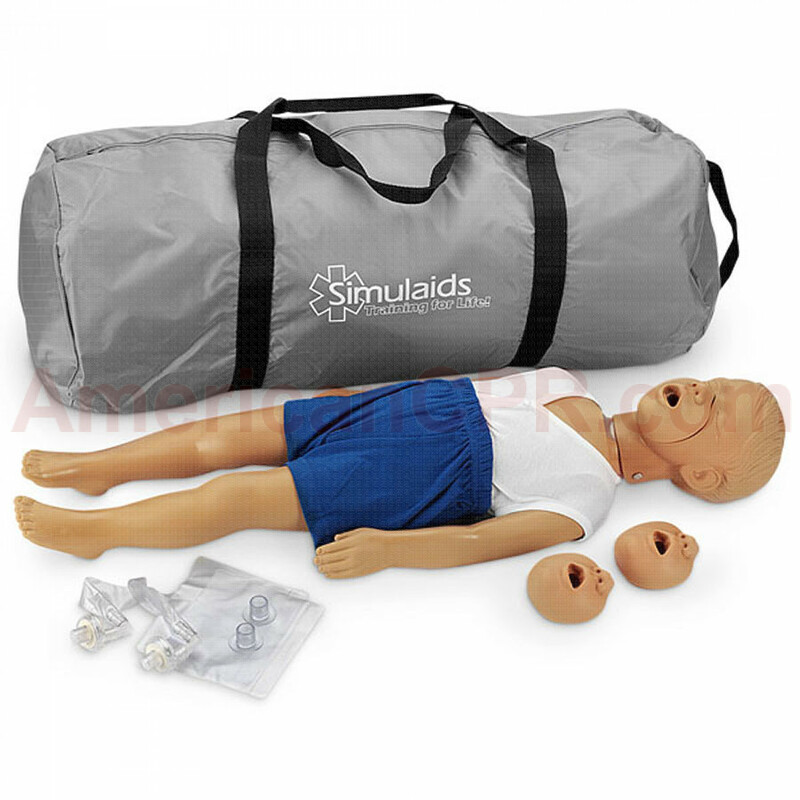 This economical manikin realistically portrays a three-year-old child for instruction of CPR techniques. This lightweight manikin is foam filled with no internal parts to break. Features an airway cutoff, individual mouth and nose pieces, and a completely disposable airway system with a nonrebreathing valve. True to life anatomical landmarks enhance skill acquisition and retention. Replicated after a 3 year old child. Kyle 3 Year Old CPR Manikin - Caucasian - Simulaids.